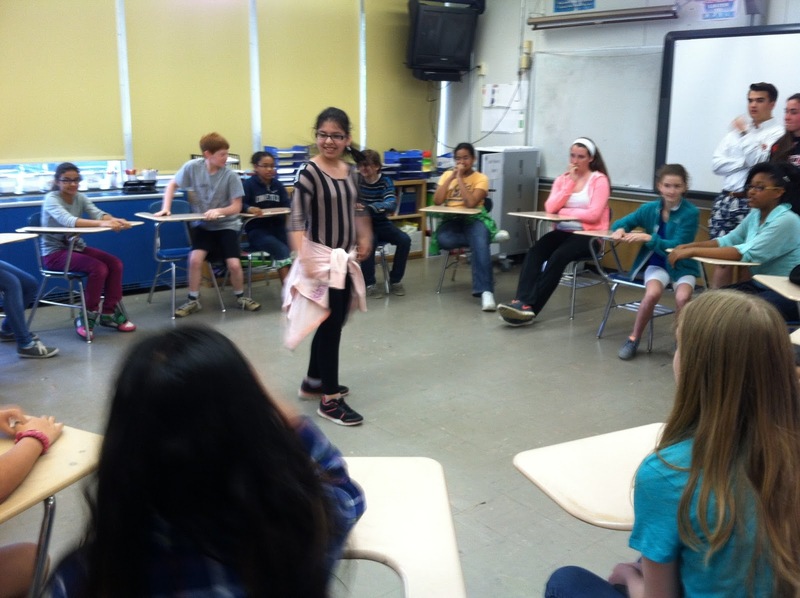 Our workshop at Cutler Middle School was a smashing success. MTWs students from Fitch and Ledyard read Manny McMoose and His Chubby Caboose and to all eight 6th grade classes. The book help facilitate profound discussions on preventing and stopping bullying. Check out the videos and photos below. 9:00 a.m. Organize the MTW students into 8 groups to prepare for sessions with 8 sixth grade classes. Read and highlight Manny McMoose and His Chubby Caboose, noting with yellow sticky notes places to stop for emphasis and clarification. Our next workshop will be on Friday, May 23 at Cutler Middle School. We'll read Manny McMoouse and His Chubby Caboose to students. There will be a planning meeting in the LHS Career Center at 2:30 on May 7. 12 noon Planning in small groups for the middle school diversity program to be presented at Cutler, Bennie Dover Jackson or Ledyard Middle School. Click here to view many videos from our December workshop.